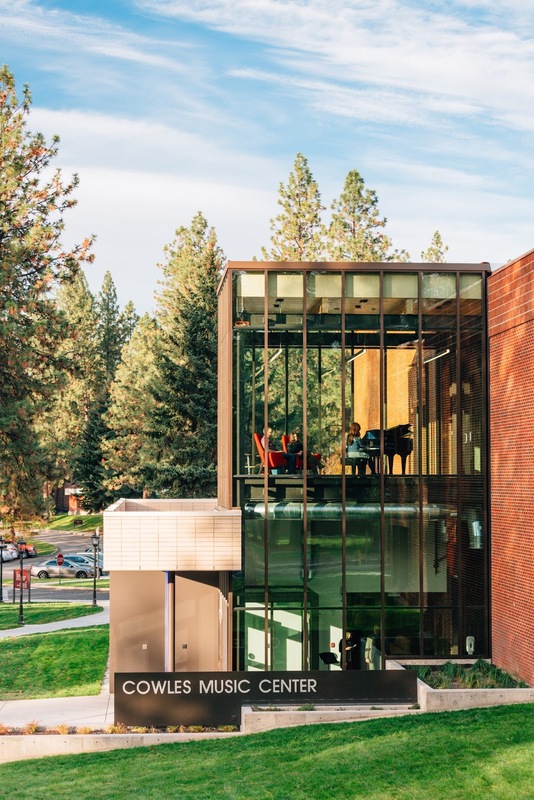 Whitworth University is proud to announce the Cowles Music Center received two notable construction design awards in November. The Washington AIA Civic Design Award recognizes projects that represent the finest standards in innovation, building performance and overall integration with the surrounding community. The Cowles Music Center received its Merit Award. The American Institute of Architects Washington Council (AIA/WA) is a professional society comprised of registered architects in the state of Washington who vote on this award. To learn more about the award, see aiawa.org/2017-design-award-winners. The Cowles Music Center also received a 2017 Robert Fraser Excellence in Masonry Award from the Masonry Industry Promotion Group. A panel of industry experts voted on the entries from Eastern and Central Washington and North Idaho. This award required masonry construction to have been a significant and outstanding feature of the building. 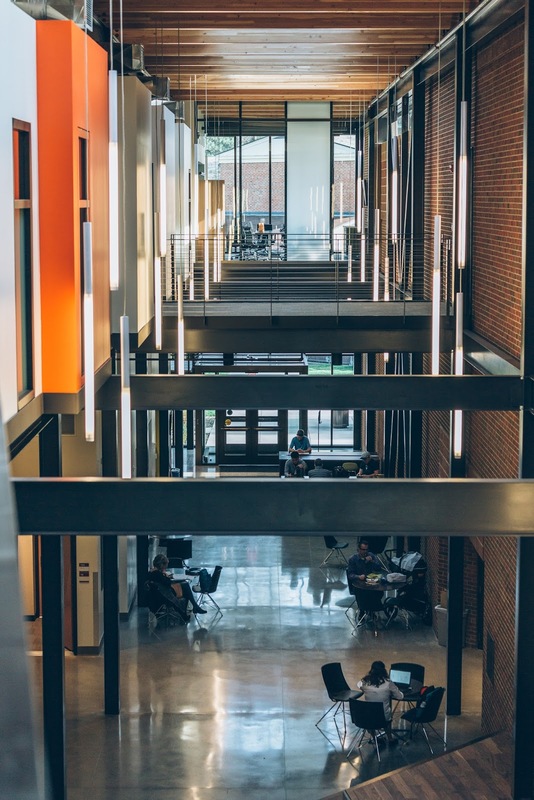 The $13.5 million project to expand the center was completed in 2016. It included a 21,000-square-foot addition to the center for new teaching studios, practice and rehearsal rooms, and an enclosed lobby space linking the center to Cowles Auditorium. Integrus Architecture designed the building. Leone & Keeble Inc. was the general contractor on the project. Whitworth would like to thank those who contributed to this project, including the Harriet Cheney Cowles Foundation and Whitworth trustee Walter Oliver and his wife, Kay. The building was named the Cowles Music Center to reflect the Cowles family’s support of Whitworth and the arts.